Size of this preview: 800 × 541 pixels. Other resolutions: 320 × 216 pixels | 640 × 433 pixels | 850 × 575 pixels. Dansk: Myresluter (Myrmecophaga tridactyla), Københavns Zoologiske Have, 2005. 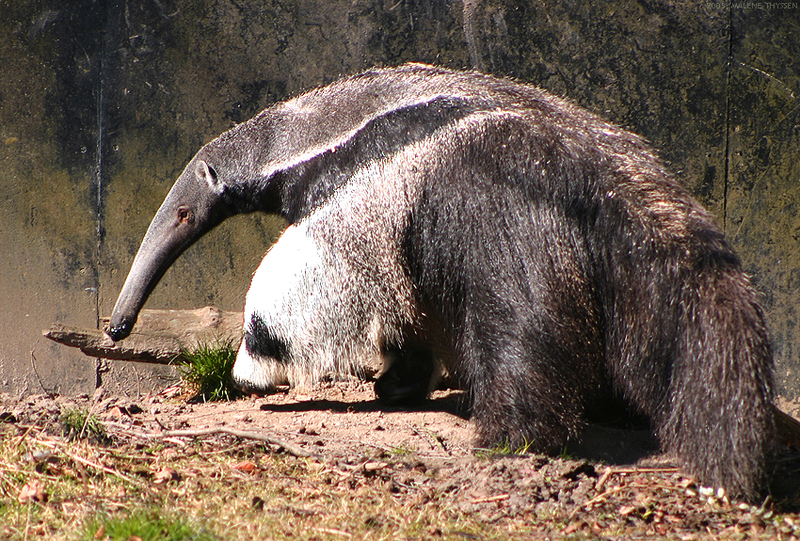 English: Giant anteater (Myrmecophaga tridactyla), Copenhagen Zoo, Denmark, 2005. Billedet er udgivet under GFDL-licensen: Permission is granted to copy, distribute and/or modify this document under the terms of the GNU Free Documentation License, Version 1.2 or any later version published by the Free Software Foundation; with no Invariant Sections, no Front-Cover Texts, and no Back-Cover Texts. A copy of the license is included in the section entitled "Text of the GNU Free Documentation License."